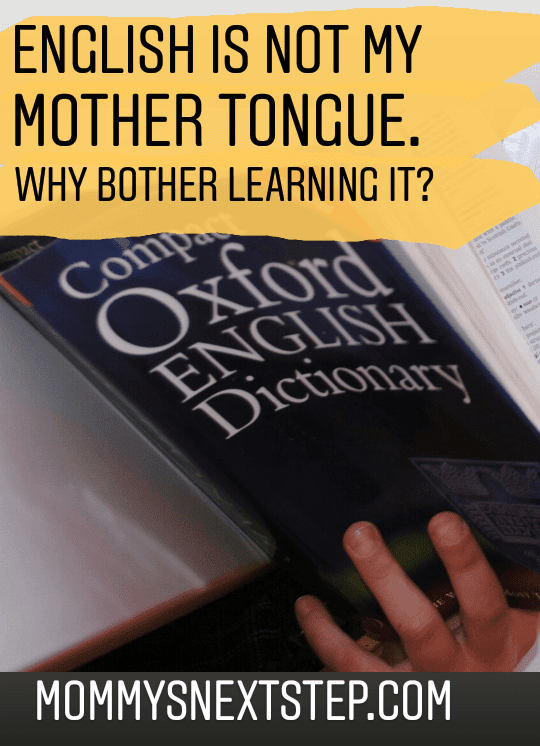 English Is Not My Mother Tongue, Why Bother Learning It? Yes, English is not my mother tongue. English actually is not a language I master. But, why I insist writing in English? It's simple. I want to be a good example for my children. I understand and speak two languages, both of them are my mother tongue. They are Javanese and Indonesian. I learnt Javanese first then Indonesian. English? It's an alien in my language world, but, I fell in love with it ever since I knew it although I keep making mistakes in using it. Please, laugh at me. I write this article with a strong feeling that I may be making mistakes. English was not my major at college. I don't understand about preposition, grammar and many more things. All I know is I feel that what I write sounds English. Haha... Who can guarantee that anyway? No one. And if I made mistakes than it will be alright. Why? I read a good article about mistakes people make when learning English. The article told us that it's common to make mistakes in using English for non-native because every mother language has its own style. And you know what? Each mother language produces specific mistakes. So, if I'm an Indonesian speaker, I probably make mistakes in English that rarely be found in mistakes of Arabic speaker make. That's natural. So, it's OK to make mistakes. But, OK is not an excuse. 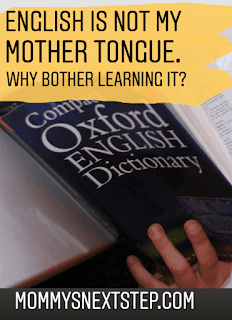 If English Is Not My Mother Tongue, What Should I Do To Reduce Mistakes? Well, it's not easy to get away from mistakes unless we try to. I will not give any advice here as I myself still making mistakes. But, I do find some ways to reduce making it. With or without subtitle is fine. I was once a subtitle hater but then I realized that it can give me a lot of help. Subtitle helps us to understand spesific words or new words. I don't mind watching subtitled program now as long as I open my ears wide. I usually take some time to adjust my hearings and feelings. When I get the feeling, I can enjoy the show. I like to watch 'technical' TV programs such as cooking and home building. For me, those programs are easier to follow as the topics are definitely clear. As I mentioned above, I open my ears wide to understand what the speakers say. Not only that. I will focus on the speakers lips so I can understand better. Funny, huh? Yes, but it works for me. To whom? To myself sometimes. While watching TV program I usually interact with the show. I laugh, give comment and show expressions when there is something happened inside that flat thing. By doing that, I act like I'm part of it and it helps me a lot to understand and practise English at the same time. I don't take notes because it didn't work for me. Did it work for you? Well, at the end, I just want to tell you that after taking those efforts to practise and avoiding mistakes, my English is still 'Indonesian English'. However, I don't feel I have to stop. I know I'm far from good but I will keep trying. I hope my kids will be inspired and be a better English speakers and writers than I do. Bravo! You're one of my fave Bloggers (who writes in English). I sometimes make a lot of mistakes too. English is not my mother languange as well, but I always try to learn it well. Thanks for sharing. I do really love your writing. I also watch movies without paying attention to subtitle to learn English. As I wrote on BEC's blog, even "bule" said it's okay to speak up.... to make mistakes. That was my turning point to be more confident in English. Even though, I know that I still have many mistakes.